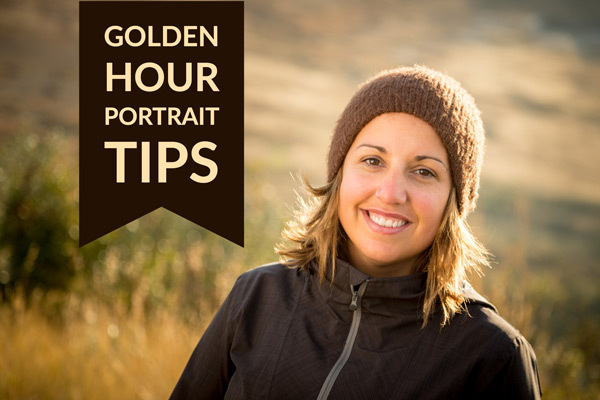 Learn to take great portraits even if you are a beginner! You’ve tried other portrait courses but they seem too advanced even at the beginning and you get lost right away. People keep asking you to take photos of them and you are afraid to even attempt doing portraits for fear of messing it up. You’re never sure what camera settings to use for portraits. You aren’t sure you can do this, it seems too complicated and over your head. Lack of confidence is holding you back. Your flash is a complete mystery and it is likely still in the box. Working with people is intimidating and you don’t know how to direct or pose them. Don't wait a minute longer. Start taking portraits you are proud of today! You've tried everything behind the camera . . .
You get off to a good start doing portraits - but it doesn’t stick. You forget everything you learned and you struggle to replicate the same results twice. So you lose motivation and get stuck! You've read articles and eBooks about how to do portrait photography but you feel more confused than ever. You're trying to piece together how to do everything from camera settings, lighting, and posing on your own, without help. You wish someone would just take you by the hand and guide you through each step in order, and you had a way you could just ask questions when you need to. Imagine what it will feel like when . . .
You understand your camera settings and finally get consistent results every time! You’ve mastered lighting and have a plan for approaching any shooting location with confidence. You get to focus on the people in your photos without worrying about the technical stuff. Your friends and family tell you that your portraits are amazing and want you to take their photos. You’re ready to get started doing portraits, but you’ve got a lot of questions! We get it! I don’t have proper camera gear and lighting equipment, how could I ever make good portraits? Portrait photography is really hard. As a beginner, can I learn to create portraits now? I’m super busy, will I have time to learn and practice portrait photography skills? How can I create sharp, well-exposed images consistently? Where do I start when working with people? Through my 7+ years of teaching portrait photography, I know you probably have a lot of questions. As you start photographing people, and doing portraits for the first time, it can be really overwhelming. If you don’t have a plan to follow, it can be easy to make some critical mistakes, get off track, and never end up at the finish line - a collection of stunning portraits in your photography gallery. That is why we created this step-by-step course . . .
A road-map to portrait photography skills and confidence for beginners. Watch the course on any device! This course has easy to follow lessons and practical challenges. It was created by a professional photographer with over 30 years of experience shooting. Although I'm an experienced amateur and familiar with most of the technical material covered during the course, the course helped me pick up valuable tips on posing, interacting with the model as well as things to look out for and avoid. The course was nicely paced and both presenters explained things simply and clearly. The course content was extensive and good value. It's given me much more confidence . . . I have learned more about my own photographic equipment, how the components can work together and how to better understand the exposure triangle elements. The practical demonstrations of how to implement the various course subjects has been an eye opener for me and given me much more confidence in my (limited) photography skills, particularly taking family portraits. The few pictures I have taken after these course are way better than the previous ones I took and I do get paid to cover events. First, I got a complete understanding of the thought process in making photographs. I learned more about lights, broad lighting and short lighting. I learned about different effects of lights falling on a subjects based on the placement of light..loop. Rembrandt, butterfly, etc. I learned the proper way to shoot during the golden hour. I have better understanding of flash photography, inverse square law usage. I learned how to check my surroundings for distracting objects. Your flash is a scary monster so it stays in its box in the closet. You struggle to find the right camera settings and get the right exposure. You feel incapable (or maybe even stupid), and are ready to give up on portrait photography. You are frustrated with inconsistent results, and struggle to understand lighting. People ask you to take photos for them and you cringe in fear, and you want to run and hide! Your portraits just don’t look like the ones on the internet and you can’t figure out what you’re doing wrong. You’re using your flash and getting consistently good results. You’ve got a handle on exposure and get sharp images every time! You feel more confident working with people and actually enjoy taking portraits. You understand light better and have an easier time seeing it, and even creating it when necessary. You want to take portraits and you create wonderful flattering images that you are happy to show off to everyone. Your portraits pop and you feel better equipped to take on any challenges. Wait, that's not all you get! How you frame your portrait is important for creating visual impact and connection with the viewer. It can dictate the mood and feel of the portrait, making it feel inviting or uncomfortable. Knowing a few rules, and how to break them effectively is a good place to start. This guide provides some general rules you can follow to help improve your portraits through better composition. Golden hour is the magical time just after sunrise or before sunset. This is the most popular time for portrait photographers to be shooting. In this guide, find out why that is the case, how to use the sun as a backlight or main light on your portrait subject. Also get tips for using a reflector and learn how to create a unique silhouette portrait. These Lightroom presets were made especially for portraits and designed as a bonus just for you! You will get one-click skin-tone enhancers, edge vignettes, b/w conversions, sepia split-tone, etc. You also get a "Glamour Skin" Adjustment Brush, and others like: Enhance Iris, Whiten Teeth, and more. Access to a peer community inside a private Facebook group. 3 Live bi-monthly group calls. Items above with an asterisk (*) are for VIP members only. I entered this course in hopes of better understanding lighting ratios and flash usage, and upon finishing it, I can safely say I got what I hoped for and then some. I find myself more confident in using even some studio equipment I didn't quite understand (or knew) before. Most other courses or instruction seem to start about halfway through and assume that the flash is already set up but your course goes into more depth about why you need it in the first place. Portrait Fundamentals is truly a comprehensive approach to lighting a scene with flash and natural light. I feel like I can go out and begin to create the types of portraits that I've envisioned. 25 modules of online video lessons in easy to follow steps. A 245 page PDF notebook. 21 Exercises to practice what you've learned. Facebook group with other students to share images and get feedback. 2 Bonus PDFs with tips for portrait composition and shooting at sunset. 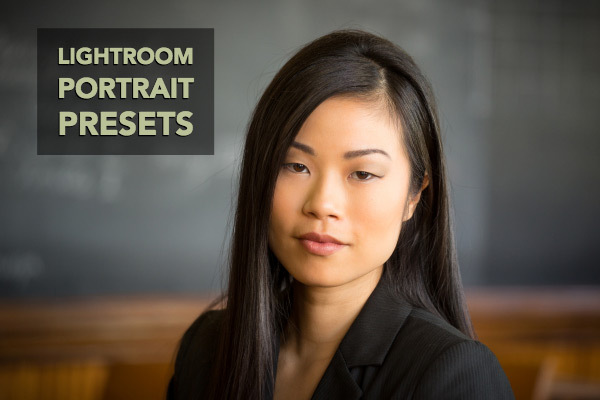 A custom set of Lightroom portrait presets. Includes everything from the self-study package. Direct access to the instructors for feedback on your images. A private Facebook group for VIP members only. 3 live group coaching calls with image review, instructor feedback, and Q&A. Complete this course online from anywhere in the world, on your own schedule. 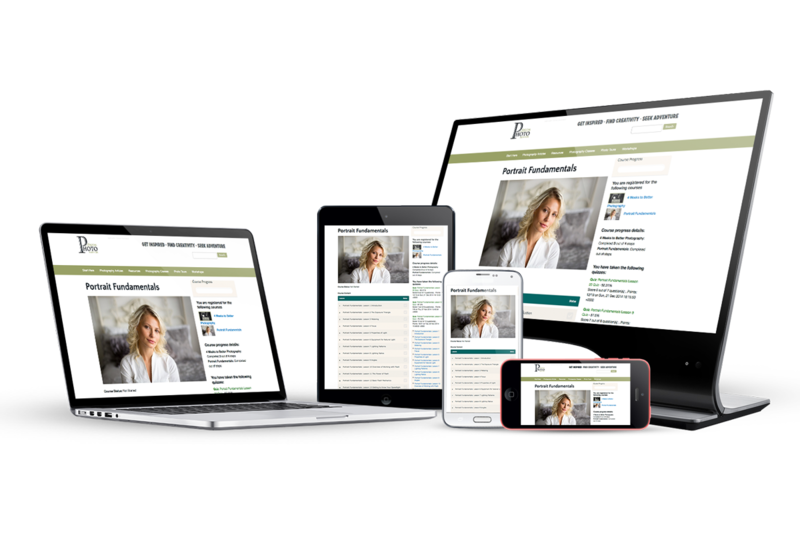 You can complete the course lessons from the comfort of your couch or kitchen table, as long as you have an Internet connection! And you'll never miss a beat: you can go at your own pace and do the lessons on your schedule. How long does it take to complete the Portrait Fundamentals course? The honest answer is, it depends on you and your current situation. Most of our students are able to get through all the videos and exercises in 4-6 weeks. Others might take a few extra months to watch all the lessons and put it into practice. There is no rush and no right or wrong amount of time, because you have lifetime access to the program and all future updates! Remember, this isn't a "quick fix" by any means. There has never been a better time to start working on your photography with Portrait Fundamentals. Why not start today instead of waiting another six months to a year for enrollment to open again? Get a handle on understanding exposure and getting sharp images every time! Use your flash and get consistently better results. Feel more confident working with people and actually enjoy taking portraits. Understand lighting better and have an easier time seeing it, finding good light and even creating it when necessary. Want your friends to ask you to take their portraits and then be able create wonderful flattering images that they are very happy to show off to everyone. Feel able, accomplished and better equipped to take on any lighting challenge. How do I know if I'm ready to take this course? You are a beginner or intermediate photographer. You have a DSLR or mirrorless camera with interchangeable lenses and manual and semi-automatic settings. You have a decent understanding of how your camera works. You want to take better photos of your family, friends and make even get some paying portrait jobs on the side. 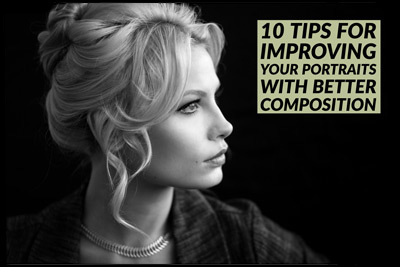 You want to learn how to pose and work with people to make flattering portraits. You struggle with lighting (especially using flash) and have tried other courses but they were too hard or advanced for you. You are an advanced to professional photographer. It will likely be too basic for you. You simply hate taking photos of people. You have a point and shoot camera or take photos with your phone. You have a very limited budget and cannot afford to spend $250 or so on a few small bits of equipment as needed. You don’t have 2-4 hours a week to study and do the practice exercises. You do not have good consistent free internet access. The course is streamed online so can use a lot of data or be choppy if you don’t have a good connection to wifi. Our first group coaching call for VIP course members will be February 8th, 2018 and the first image review call is set for February 21st. These dates are for VIP members only. ​After completing Portrait Fundamentals you will have the skills and confidence you need to create portraits of your family and friends. You can do this, we promise! You can keep trying to figure out all this portrait lighting and flash stuff on your own and struggling to put it all together. You might eventually get the consistent results you want in a few months or even years. You can enroll in this course and learn the inside tips from experienced portrait photography instructors, start improving your portraits immediately, and save time and money by not wasting it on things that don’t work. You can do this even if . . .
You can learn the skills you need by watching just one video a week (10-20 minutes) and doing the practice exercises at your own pace. It’s not a race, slow and steady wins the game. You have lifetime access to the course content so take your time if you need to. That’s why you need this course! We start right at the beginning and don’t leave anything out. You will be taken step by baby step through the entire process from camera settings, to using natural light, to flash and finally putting it all together. Watch the lessons more than once if you need a refresher and take as much time as you need to understand each step before you move on to the next one. This is something that only comes over time and by actually doing more photography. So this is a perfect opportunity to flex your photography muscles and do a workout! By doing the practice exercises with a friend that is supportive and helpful, you will see your skills progress and your confidence level soar! 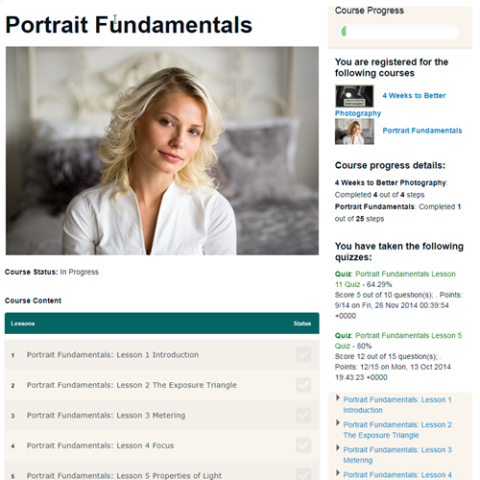 We wholeheartedly believe in the Portrait Fundamentals course, and have many satisfied students (over 450 alumni). But we want you to feel confident in trying it out for yourself! That's why we have a 100% Risk Free Guarantee. 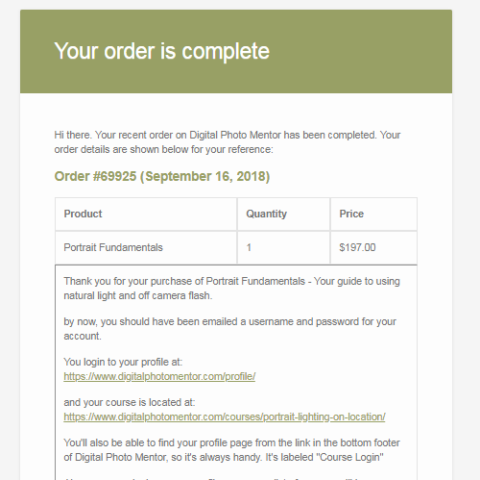 You can try Portrait Fundamentals out for 30 days, and if you aren't satisfied, just ask us for a full refund by 11:59 pm Eastern US Time on [Date - Last day of Refund Period to be edited in before launch]. The course info on equipment has helped me make informed decisions about what to buy next, and what I can do without. I'm pretty good at candid "people" shots, but the course has taught me techniques to improve my posed portraits. I'm pretty good with "good" natural light, but the course has shown me what can be done with flash to improve light that is less than great. I had never used a flash before this class. I now feel comfortable with using a flash and getting different lighting effects with it. I feel more confident with being able to see light and know how to find better light to create a more pleasing portrait. It is a perfect all around introductory course on lighting and flash use. 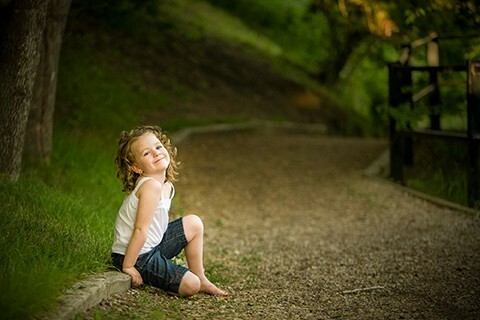 It is a perfect portrait photography course for beginners trying to step it up a little bit. By learning portrait photography through our online program, you get huge benefits without the huge price tag. Attending a similar course in a classroom could cost $500 or more (plus travel expenses). Hiring a private photography tutor for 8 hours could cost over $800. You could waste hundreds of dollars buying the wrong gear or things you simply don’t need. Attending a 3-5 day workshop would cost over $1500 (plus travel expenses). Who are these guys to teach this thing anyway? Darlene and Bruce have a combined total of over 35 years of experience as professional portrait photographers, and 6 teaching it. They are teachers who understand your needs and questions because they instruct in live classrooms as well. Forever. Your purchase allows you lifetime unlimited access to the course – watch it as many times as you want, and get any updates free of charge. You can watch the video lessons on any device including laptop, smartphone or tablet. Unfortunately they are not available for download. I just got my camera, can I do this course? 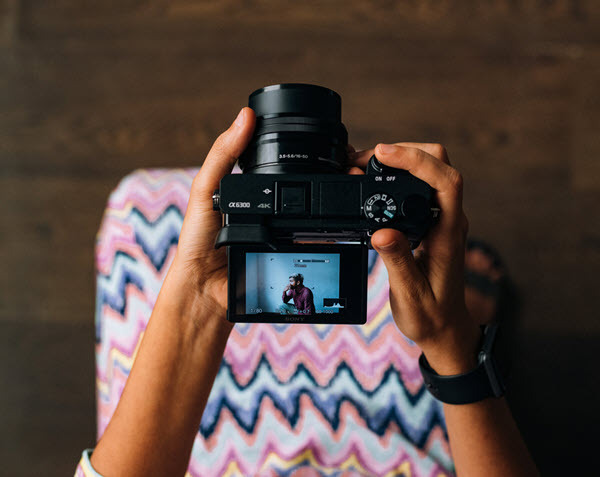 If you are unfamiliar with all the settings and buttons on your camera and what they do, you may find this course a bit too advanced. However, if you want to see for yourself – we have a 30 day money-back guarantee, so you have nothing to lose. You can also buy it and watch it any time, including months later. I'm a working portrait photographer, what if I find this course material too basic? That will depend on your experience level and skills. If you already shoot in manual mode on your camera and flash, understand terms like incident metering and Inverse Square Law, are comfortable working with people posing and lighting them, and are happy with the results from every portrait shoot that you do – then this course will likely be too basic for you. However – if you want to approach it as a refresher, to get some new tips and ideas – then we highly suggest you give it a go. If you buy it and aren't happy – we'll send you a refund, no questions asked. Are ​​​​there any other material or equipment costs besides the enrollment cost of the course? ? Yes, you may have to buy a few small items like a reflector or flash if you don’t already own one. We will give recommendations in all price ranges. Can I read the notes and watch the videos on my tablet or mobile phone? Yes, you can watch the video lessons on any device including laptop, smartphone or tablet. The lesson notes is a PDF which can be read on any device (you will need to download to your computer first, and then copy to your devices). What if I have a technical issue like I can't log in or forgot my password, etc? There is a dedicated technical help email address – get help when you're stuck. What if I have a question about the material in one of the lessons? There is a dedicated lighting help email address – get help when you're stuck. Should I buy the Standard or VIP option? We recommend the VIP option if you want instructor feedback on your images and live group coaching calls. If you can work through the course on your own with feedback from other students, go with the standard package. What is your refund policy? Is there a guarantee? If you aren’t happy with the course content within 30 days of your purchase we will give you a full refund. What happens after you buy the Portrait Fundamentals course? 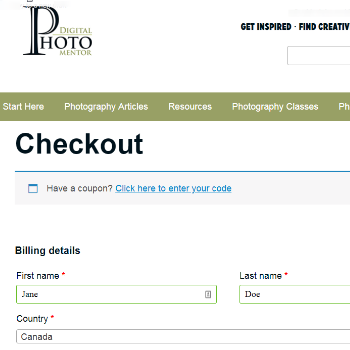 Step 1: Complete the checkout and enroll in the course. Step 3: You will get immediate access to the course. Darlene Hildebrandt, has been doing portrait photography for over 30 years and has photographed over 250 weddings. She helps people like you demystify portrait lighting and feel like a real pro. 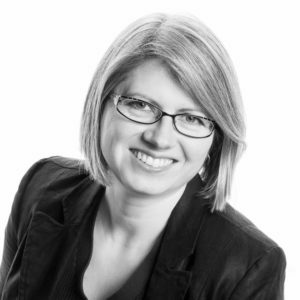 In 2011 she started teaching photography and her passion was reignited by helping others just like yourself. Now she has taught hundreds of students to take baby steps and learn about better portrait lighting and can’t wait to help you do it too. Bruce Clarke has been a professional photographer using flash on and off-camera for over 15 years. Bruce is known for being able to capture that special moment by freezing it in time with his flash. Available for a limited time only. Don't miss out! 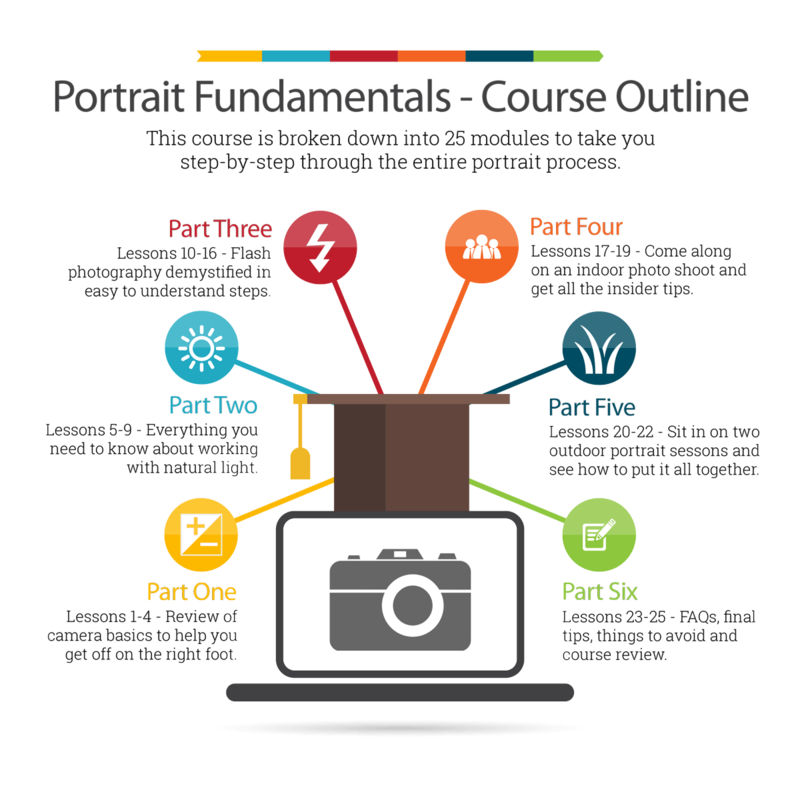 Have any questions about the Portrait Fundamentals photography course? Drop us a line, we're here to help!